Lake Como becomes a film set once again! Are you on holiday in Lake Como and wondering what is going on……………. and why some streets have been closed to the public? Well Como has once again been chosen as a film set. This time for ‘Murder Mystery’ starring Jennifer Aniston and Adam Sandler, in a new Netflix production that will be aired in 2019. Filming centred around the streets at the top of Via Vittorio Emanuele in the centre of Como, creating a market scene (where there isn’t usually a market) for the 2 actors to run through. Then it was onto Villa Olmo for more filming in the gardens. The Como scenes follow hot on the heels of previous shoots in Santa Margherita Ligure and Portofino and highlight once again that Como is the place to be!! This entry was posted in Uncategorized and tagged #adamsandler, #como, #film, #jenniferaniston, #murdermystery on 01/08/2018 by LCC. Yes Lake Como is once again centre of the world. So hold on to your hats! – from 5 to 8 July Como becomes the catwalk of the world with the Dolce e Gabbana fashion show! Lake Como has been chosen to host an event for superstars by Dolce e Gabbana – but the invitation list is top secret – so if you are on holiday in Como this week – it’s a case of spot the star! The event centres around Villa Olmo, but stretches from Cernobbio to Tremezzina for a fashion show and then Villa Pliniana at Torno for the final party on Sunday night. Then there are the party cruises on the Concordia and Patria ferries that are accustomed to leisurely carry tourists around the lake, but have now been hired to provide further nautical support to the event! The Patria has been re-invented as a Dolce and Gabbana pop up store teeming with handbags, shoes and clothes carrying special edition designs of Lake Como. The store is open until 10 July and moored at Villa Olmo. Today is dedicated to jewellery, tomorrow high fashion and Saturday sartorial elegance. The eyes of the fashion world are on Como, and if you haven’t been able to get a hotel room – this is why, with 400 secret VIPs invited plus all the attendant press, plus all the necessary security that events such as these entail. What more can we say – Como is the place to be! And if you are lucky enough to be in Como now – how about seeing how many stars you can spot!! And seeing as Como will no doubt host many more such events – how about buying a property so you have a base to enjoy it all from! This entry was posted in Uncategorized and tagged #como, #dg, #dolcegabbana, #property #Fashion on 05/07/2018 by LCC. Will the “Flat tax” see the super-rich flocking to Lake Como? Yesterday, whilst all eyes were on the budget in the UK, an interesting piece of legislation known now as the “flat tax” giving fiscal advantages to the super-rich was being introduced in Italy. The Italian government intends to attract ultra-wealthy individuals, possibly those considering leave the UK following the Brexit vote, with the idea that with their wealth and status will in turn promote and generate investment in Italy. Here at LAKE COMO CONCEPTS we believe that this will be yet another incentive for ultra high net worth individuals to make Lake Como their home. Lake Como has proved itself to be a place where the rich and famous can live easily – it is a very glamorous yet an extremely safe area and has all the convenience of Milan just over 30 minutes away. If you would like to discuss fabulous real estate on Lake Como or stunning Liberty villas in nearby Brianza, please contact us in complete confidence at info@lakecomoconcepts.com . 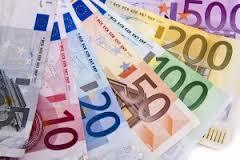 Most of our opportunities over €10m are off market or pocket listings and do not appear on our or any website. We offer objective and impartial advice, whilst providing complete discretion and anonymity. This entry was posted in Uncategorized and tagged #flattax, #lakecomo, #luxuryproperty, #pocketlistings, #realestate, italy on 09/03/2017 by LCC. Grab a bargain on Lake Como – but you’ll have to be quick! Yes – you have read this correctly. Just released today, Lake Como Concepts is offering seven apartments on Lake Como, Italy for sale as a block sale for a total price of €210,000. WOW!! The apartments are located in Blevio, just five minutes from Como and are located in a small condominium of 10 apartments in total. Six of the apartments are empty with vacant possession whilst the last apartment has a rent-free tenant with a life-time interest in the apartment. The apartments are for the most part two bedroom apartments, some with lake views, balconies and one with a large terrace. They would benefit from a programme of modernisation. The apartments are not for sale individually and have been priced to attract investors looking to re-modernise and sell on or create a rental portfolio on Lake Como. Blevio is one of the gems of Lake Como, with bars, shops and restaurants including Momi lakefront restaurant and the world famous luxury 5 star hotel Casta Diva. This entry was posted in Uncategorized and tagged buy apartment lake como, buy property lake como italy, investment lake como on 03/10/2016 by LCC. Lake Como is looking beautiful in the spring sunlight and the lake is getting busy as more visitors arrive, so now is the ideal time to spruce up your holiday home and make sure it is in a perfect condition for you and your family and friends, or for any paying guests you may have if you rent your home. Test the air-conditioning units and lights in each room. AND SO YOU CAN ENJOY YOUR SUMMER ON THE LAKE! 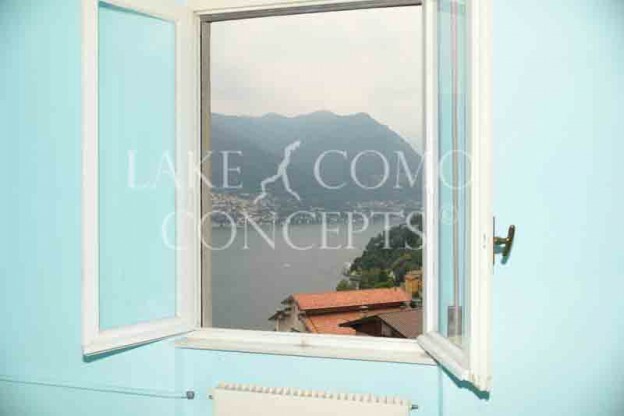 This entry was posted in Real Estate and tagged buy real estate lake como, holiday homes, Lake Como, property renovations lake como on 20/04/2016 by LCC. La Provincia (our local Lake Como newspaper) reports that bookings for holidays and hotels on Lake Como are already up by 10 % compared to last year, and that the increase is most marked in visitors from the UK and the USA. Effect of the tumbling euro? The purchasing power of the dollar and sterling is significant more than 2014, approximately 30% in the case of the dollar! Opening of yet more high quality hotels on Lake Como? The Italian housing market is picking up so many visitors may feel it is a time to buy? Last quarter’s residential real estate transactions were up 5.5%. Beginnings of a financial recovery in the US and UK? And last, but seriously not least …….LAKE COMO IS SO BEAUTIFUL, AND A FANTASTIC PLACE TO SPEND A FEW DAYS, A HOLIDAY OR A LIFETIME! This entry was posted in Real Estate, Uncategorized and tagged buy real estate lake como, como and EXPO 2015, hotel bookings lake como on 21/03/2015 by LCC. With the strengthening dollar is now the right time to buy on Lake Como? There is never really a right or wrong time to buy a property – the decision is very personal, but with all things being equal, the strengthening dollar means that it may be worthwhile thinking about buying a property in Europe if your savings or income is in dollars. We consider a market such as Italy that has yet to fully recover from the financial crisis is ideal for investment and it seems that things may finally be on the turn with the results last week from the Agenzie delle Entrate that the Italian housing sales are positive for the first time in seven years. For the US dollar investor, as recently as May 2014, the exchange rate was USD 1.39 to the Euro, whereas on Friday 6 March 2015 it was at 1.09. So what does this mean? Let’s take the average holiday home investor – for example with $300,000 to invest. In May 2014 this could buy an apartment on Lake Como for just under €216,000. Around Lake Como this should have achieved a 2 bedroom apartment. However just 10 months later with the stronger dollar this would be now €275,000 and thus open the door to a greater choice of apartments, and possibly even a small villa! At Lake Como Concepts we have villas starting at €260,000 so every extra euro really counts! How will it go in the future? Will the dollar continue to strengthen? Who knows – talk to your financial advisor see what they are suggesting. This entry was posted in Real Estate, Uncategorized and tagged buy property lake como, dollar, euro, italian real estate on 08/03/2015 by LCC. Italian Real Estate Market back in the black! Yes, it’s official – according to the Agenzia delle Entrate – after seven long years in the red, the Italian real estate market has turned in positive results for 2014. Property transactions in Italy were up by 1.8% in 2014 on a year by year basis, with the fourth quarter showing a particularly strong 5.5% increase. There were a total of 920 849 property transactions in 2014 with the best result coming from the commercial sector (+ 5.7%), followed by residential and manufacturing (+ 3.6%), whilst the service sector remains negative (-4.6%). Some of the major cities in Italy saw double-digit growth in 2014, mainly Bologna (+ 18.5%), Genoa (15%), Rome (+ 13.9%) and Florence (+ 13.3%), whilst Milan and Turin both recorded a respectable growth of 5%. Interestingly, there was a 12% increase in transactions supported by a mortgage, with 40% of purchasers obtaining a loan and the average mortgage value was Euro 119,000. So maybe it’s the time to consider investing in that property of your dreams in Italy, particularly if you put this together with the very favourable exchange rate of the euro against the dollar, sterling and the Swiss franc. This entry was posted in Real Estate and tagged buy property in italy, buy property lake como, euro 11 year low dollar, italian property 2014, lake como real estate on 06/03/2015 by LCC. 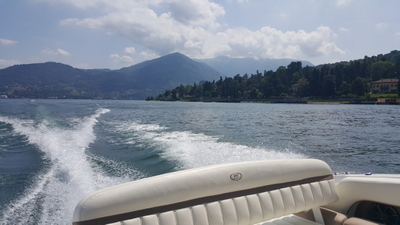 Buying real estate on Lake Como is sometimes seem as a property investment for use in the Summer months but really nothing could be further from the truth. From its strategic central location, Lake Como makes a great base for exploring some fantastic ski resorts in the Italian and Swiss Alps. Under an hour from Lake Como Closest to Lake Como, is Mount Sighignola in Lanzo d’Intelvi, at 1320 metres above sea level and just 20 minutes by car above Argegno. A day’s skiing only costs €20 at weekends and €15 on a week day and the area is great for beginners or children with a short baby slope and then a medium difficulty slope. 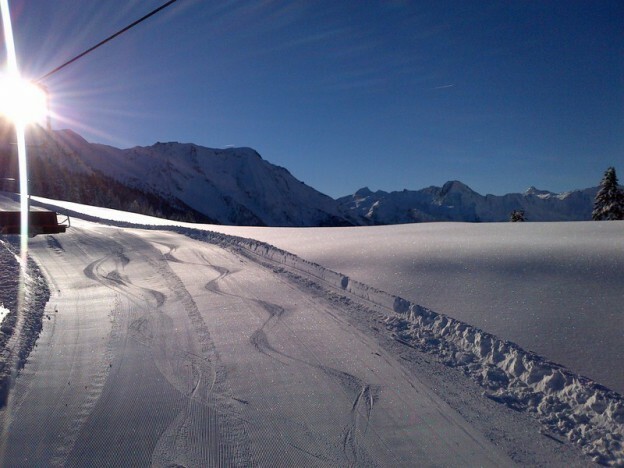 With only 4km of pistes it is great if you are just starting and looking to try skiing near home. 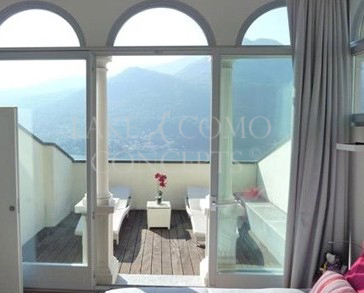 Fantastic views can be enjoyed from the top over Lake Lugano, and the area is known as the “Balcony of Italy”. Otherwise just north of Lecco, on the Lecco branch of Lake Como is Piani di Bobbio at 1700m, a larger ski area offering 35km of downhill skiing. The majority of the pistes are suitable for beginners but there is also challenging black runs if you take the Chiavello chairlift and descend Mount Orscellara. Whilst for cross country skiers there is a 5km ring also used for Italian and international races. Just 20 minutes by car from Lecco and under an hour from Como, and a day’s skipass is €32 at weekends or €26 during the week. Under two hours, 30 minutes from Lake Como If you wish to travel that little bit further there are some of the most famous ski resorts in the world within a few hours’ drive. Going into Switzerland there is St Moritz, about 2 hours 30 minutes from Como. There are 350 km of runs taking the three main ski areas into account; Corviglia, Corvatsch and the Diavolezza. Having hosted 4 World Cups and 2 Winter Olympics, St Moritz is gearing up for the next World Cup in 2017. Remember, it is Swizerland and a day’s skiing will set you back about €75. Staying in Italy, then try the duty free area of Livigno, with 115 km of downhill runs on both sides of a wide valley. Lifts are linked and a day’s skiing will cost €44 but is well worth it and you can always save with duty free purchases, at least petrol! Known as Piccolo Tibet as it is very cold and may be best avoided in the extremes of January! These are just a taste of the resorts comfortably accessible from Como for the day. If you are going for a weekend there are vast areas to explore – the Dolomites, the Via Lattea with Sestriere at its heart…………there are no limits! 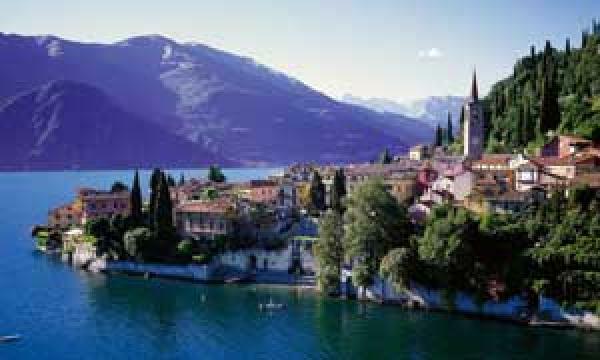 This entry was posted in Real Estate, Uncategorized and tagged Lake Como, real estate lake como, ski resorts lake como, skiing lake como, St Moritz on 25/01/2015 by LCC. Many people feel that Lake Como is just for Summer vacations – but nothing could be further from the truth. Como town and Lake Como itself make a great getaway at any time of the year. As autumn, the season of delicious porcini mushrooms – wonderful with pasta, risotto or polenta – gives way to winter, Como gears up to a new challenge. Winter is the time of the Citta’ dei Balocchi, the ice rink in Piazza Cavour, the splendidly lit Duomo, and the street decorations that abound all the pedestrian thoroughfares in the town. CHRISTMAS MARKETS – the place to get those last minute Christmas gifts – stretching up Via Ciao Plinio towards the Duomo are the wooden Christmas market stalls selling the wonderful Christmas fare – gifts, vin brule’, grappas, torroncini, hams and salamis! OSTERIA CON POLENTA – need some sustenance? Then visit the specially created winter garden restaurant in Piazza Verdi and sample all traditional dishes from around Lake Como in a magical atmosphere of fairy-lit trees. These Como dishes include polenta, Missoltini (sundried small lake fish), i pizzoccheri (a buck wheat pasta from the Valtellina), regional cheese, wines, beers and olive oils. JANUARY SALES – Christmas shopping is in full swing with many car-parks in Como already filling up early each day. The eagerly awaited January sales officially begin on Monday 5 January for Lombardy, so if you are planning a Lake Como short break that may be a good time, although remember, 6 January is an Italian bank holiday and not all the shops are open! This entry was posted in Real Estate and tagged buy property lake como, Christmas on lake Como, Lake Como Concepts on 09/12/2014 by LCC.